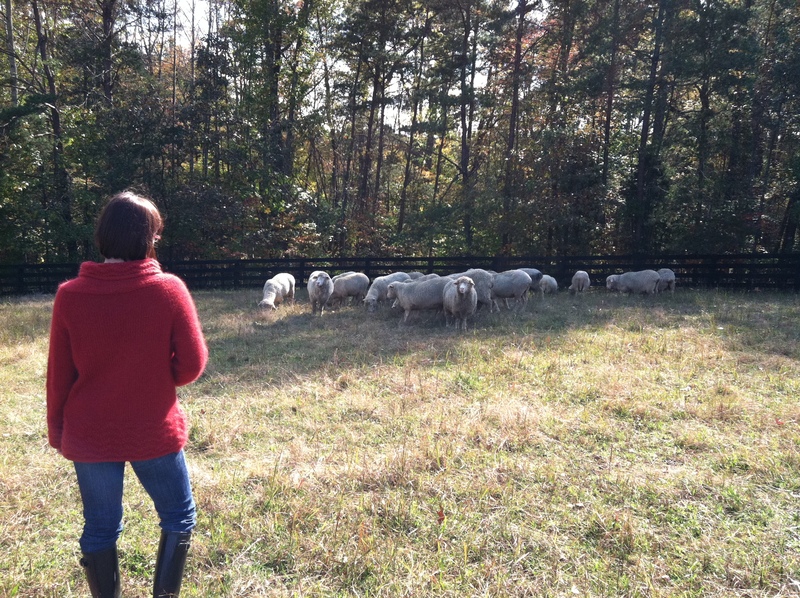 part of my bio says i’m a ‘wannabe shepherdess.’ since sheep are currently not legal in NYC and since chez farm’s square footage wouldn’t support sheep anyway, i have to get my shepherding jollies away from home. 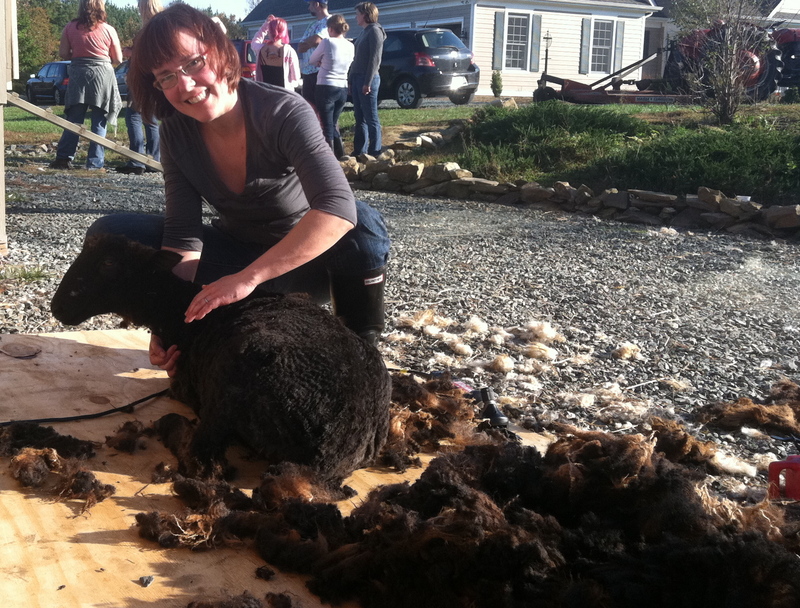 i visit my friend shepherd susie at juniper moon farm as often as i can and i never miss a shearing celebration. 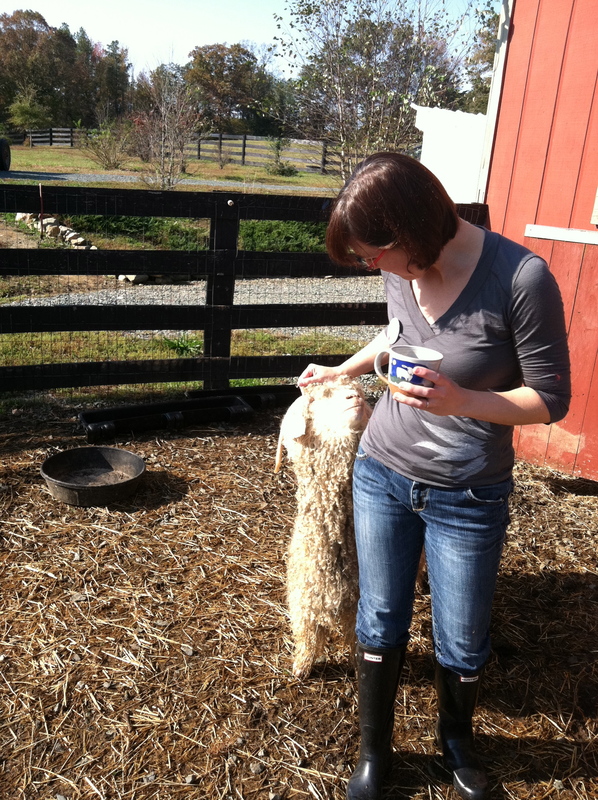 i went to sheep shearing school last spring (to learn how to shear sheep, natch). shepherd susie has a professional shearer, but she’s usually kind enough to let me shear a sheep or two so i can get experience. 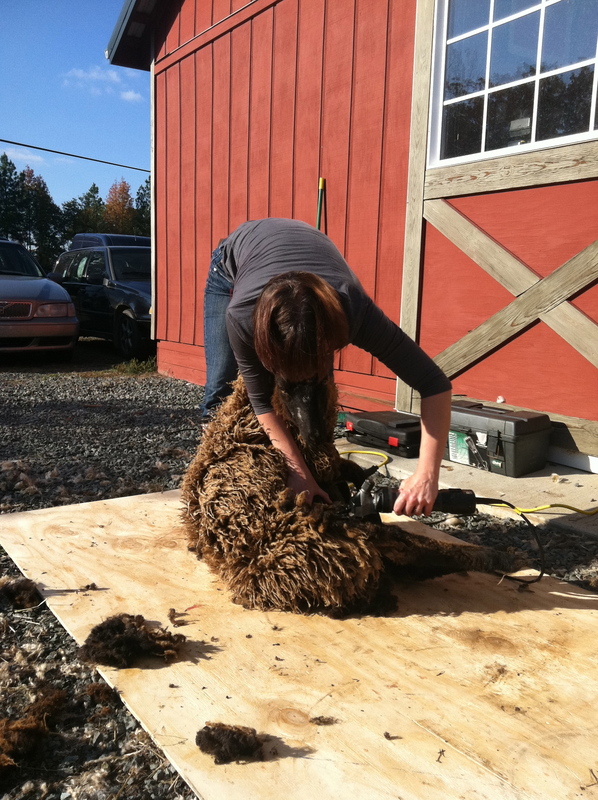 sheep shearing is hard work, but great for your triceps and hamstrings. and abs. and back. not to mention – good for the sheep. 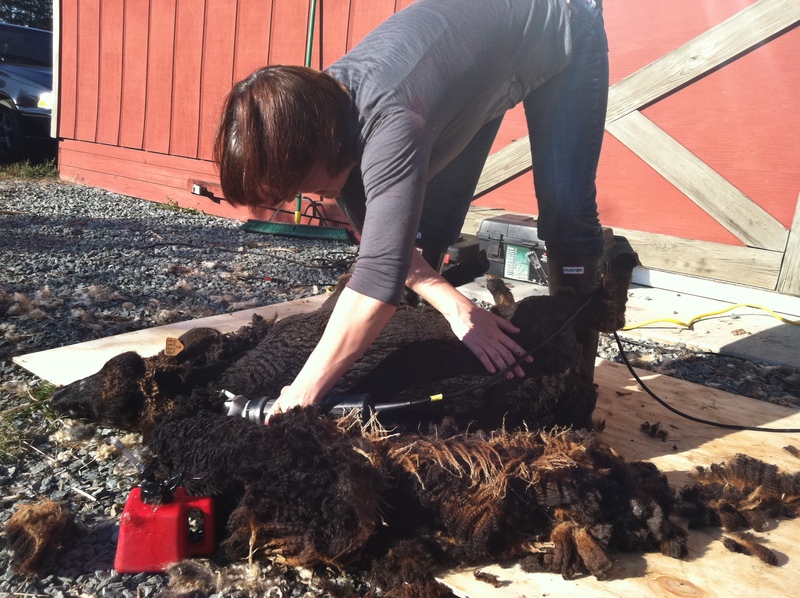 i’m looking for more sheep-shearing opportunities. all photos except the last one were taken by farmer woob with her iphone camera. 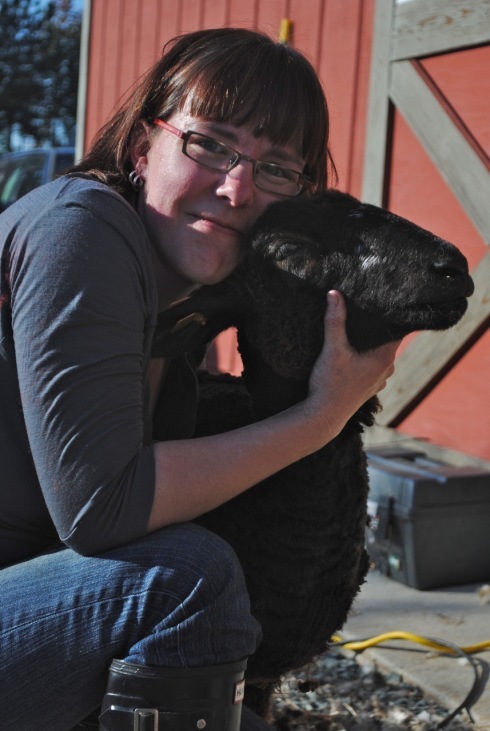 the last photo was taken by my friend amy, aka wooly mama of merry magpie farm. 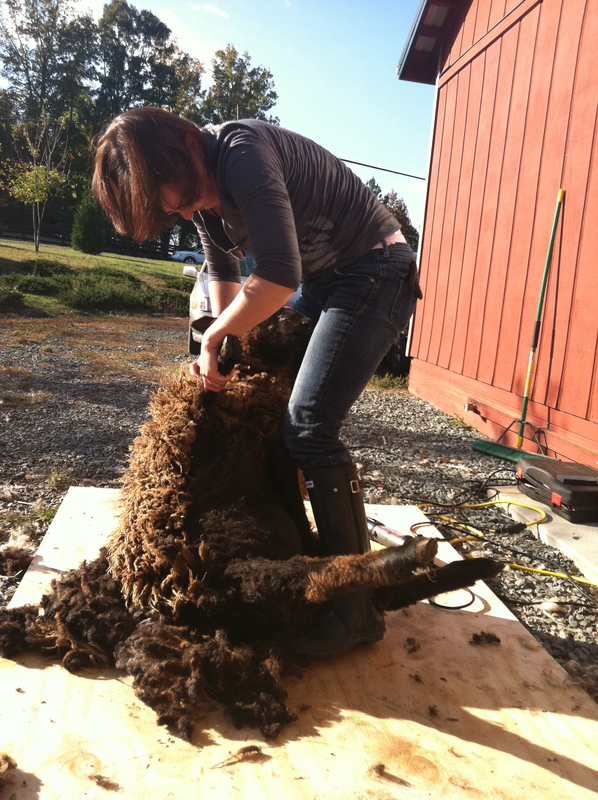 This entry was posted in fiber, shearing and tagged sheep shearing, urban shepherding. Bookmark the permalink.